Ibrox Noise: Crunch time - can Steven Gerrard do it? Crunch time - can Steven Gerrard do it? As Rangers fans are only too well aware, the side goes into arguably its most important December for many, many years. While Wednesday’s loss to Aberdeen was a painful reminder of the fact that we’ve far from completed our journey, nevertheless the league form leading up to it was more than promising, and included seven unbeaten with only one draw. So Rangers’ superb win over Hearts last weekend as the first in the Brutal Batch of December fixtures bode promisingly – before we got hauled back to earth with a dismal display versus Derek McInnes’ outfit. So, we next face Dundee, a side buoyant from a big win and three unbeaten in a row overall, before titanic clashes with fifth-placed St Johnstone, a UEL decider against Rapid, a meeting with Hamilton, and the crunch trio of Celtic and Hibs x2 fixtures. In no particular order. To say Rangers face the toughest end to a year in some time is an understatement – five or six fixtures versus theoretical top six sides (even if not all are currently there right now) plus a European showdown and a couple of bread and butter SPL matches make for nine (two already played, of course) matches which make or break Rangers’ season. The win at Tynecastle bode well, but the Aberdeen result brought realism back to the table. 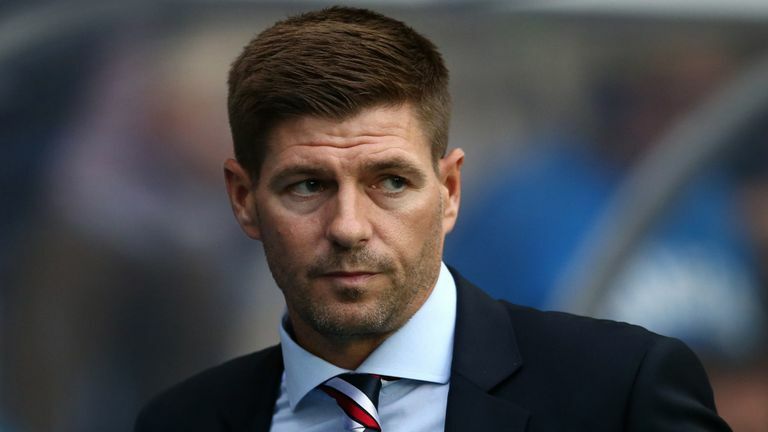 And now Steven Gerrard must bring his troops’ morale back up and somehow cultivate enough wins this month to see Rangers in a credible and serious league position come 30th of December. It really is do or die and success will see Gerrard’s stock hike to unfathomable levels. Sadly, failure and a tepid league position by the end of the year will put him and the players under serious pressure. Of course there’ll be January to freshen things up, but supposing a distant third or worse come 2019 and genuine questions will be asked, fair or not. On the other hand, an impressive December and a fine league position and very much still challenging at the top and Rangers will be laughing. It’s going to be tough to achieve that. Rangers have shown mortality many times this season – and while Ibrox has been far more of a fortress than it was, the Dons’ and Killie results showed teams can still come here and take points from us. And frankly Celtic and Hibs, when it comes to Rangers in recent years, cause many more problems for us than Aberdeen and Killie typically do. But anything is possible. Rangers negotiated the toughest path to the UEL group stage under staggering pressure, with everything on the line. So as tough as December looks, and while it’s so far one win and one loss, history shows us that this Rangers team can deliver when it truly counts. It can also fail on such occasions too as we saw at Hampden. Realism and optimism are both fair attributes for the upcoming weeks. Not if he keeps picking Flanagan,culibaly,and ejaria,and fails to do the obvious thing like removing a vital player when he's on a yellow and a cert to get a red. Has to stop playing Ejaria jack and coulbaly together as a 3 and Flanagan at left back as it creates no movement and teams can press us leaving gaps at back .only Arfield and Candeias gives us a forward option but candyman usually back covering Tav. In Midfield Play McCrorie instead of Coulibaly. Got the first part of your predictions totally wrong does not go well for rest really does it.